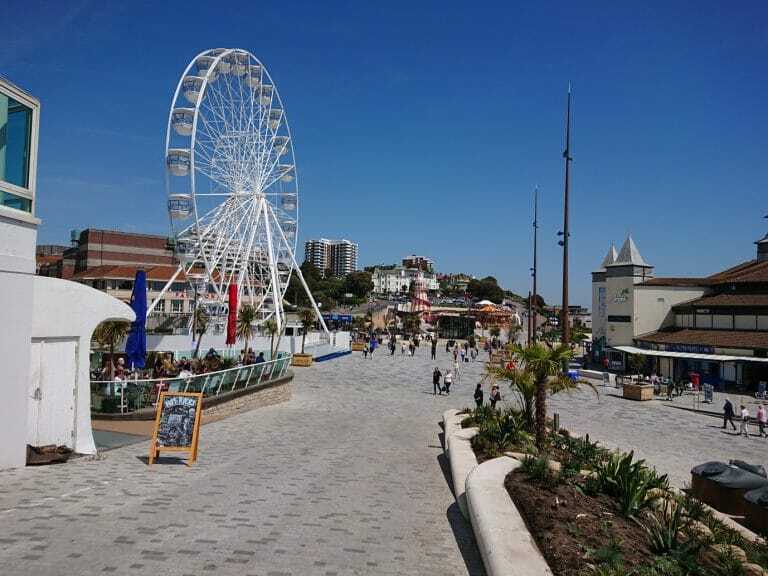 After 4 years of hard work by all involved, and the support and patience of the local public, Bournemouth Pier Approach is finished! The formal opening of the second phase was on Thursday 17th May and Government Minister, Jake Berry, had the honour of officially opening the space to the public. Accompanied by beautiful sunshine, CEC’s Principal Landscape Architect, Birgit Hontzsch attended the opening and was delighted to be there. Team members from CEC Ltd, Hydrock, Alun Griffiths and WSP at the Phase 2 opening! CEC acted as Lead Designers and Landscape Architects during phases 1 and 2 of the scheme, starting work on it in 2014. 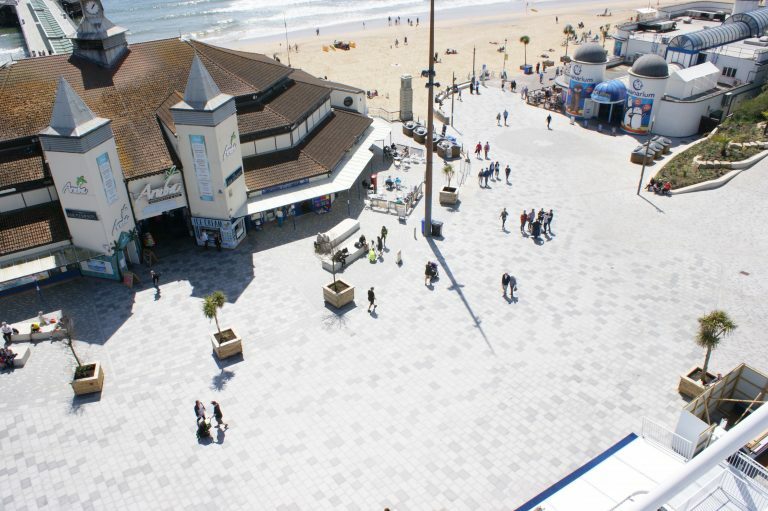 The schemes were funded by money from the Coastal Communities Fund and Bournemouth Borough Council, with the first phase costing £4.7M and the second £1.9M. The contractor, Alun Griffiths, spent around 43,000 man hours building the second phase, amongst other things laying 140,000 granite setts….a lot of which was done in very bad weather conditions, so the scheme has certainly had its challenges at times! 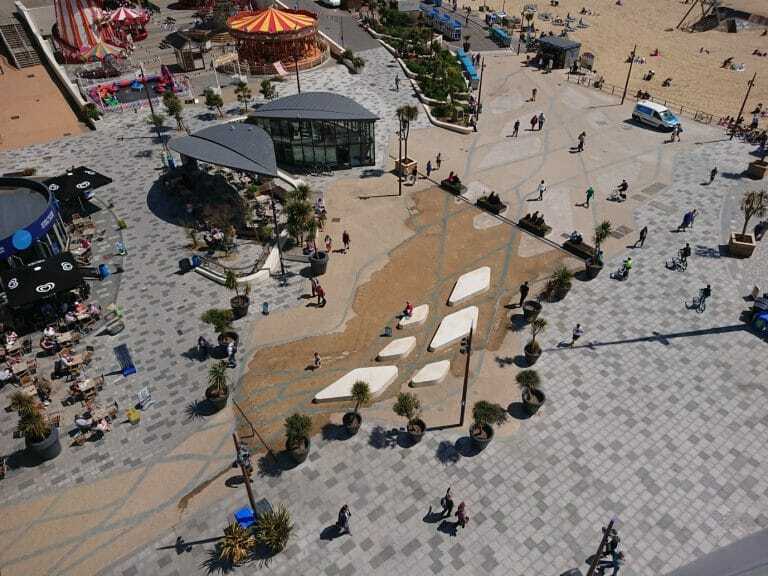 The client, Bournemouth Borough Council, managed to obtain the funding for the second phase in April 2017 – this project was designed, tendered and built within a year, which is a great achievement for all parties involved including Hydrock who provided engineering support. 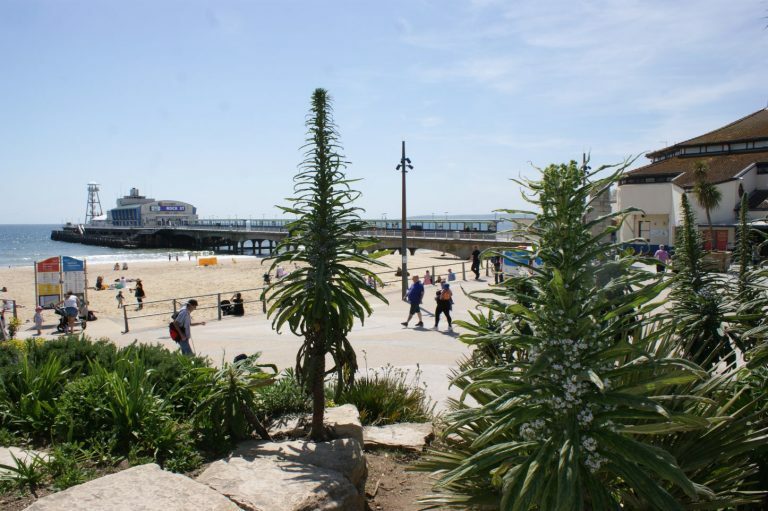 The Bournemouth Pier Approach now provides the local public, visitors and tourists surroundings which provide better seating areas, rest areas, wide open spaces, a water feature (which children seem to love on a hot day! ), semi-submerged bins allowing more waste to be collected, beautiful planting schemes and a safe environment in which to work, rest and play. 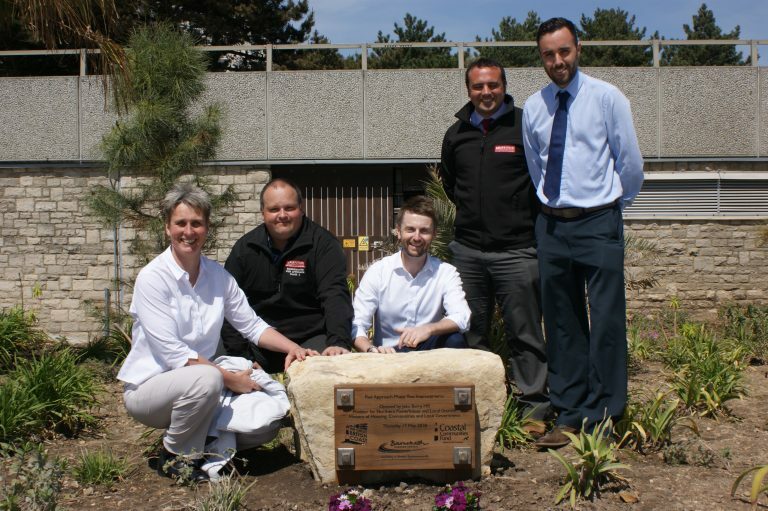 CEC would like to thank everyone who worked on the scheme – it’s a fantastic achievement.